Prices for a burger range from $1 to $20. It depends on who is cooking it, what it’s made of, and what part of town you’re in. Moving companies are similar in a lot of ways. Depending on your particular move and the company, prices can range from cheap to quite expensive. So how can you avoid paying too much for movers? 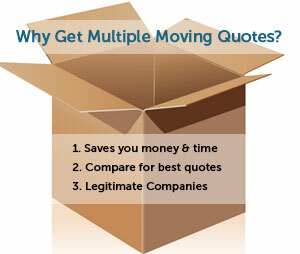 Simple — get some free moving quotes. After that, try contacting some companies to see what their prices are. Make sure you ask the right questions, so that you know the price you get is accurate. After you get a bunch of quotes, you’ll understand well what your move should cost, and you’ll be able to determine which moving company is right for you: the dollar-menu frozen patty or the $15 Kobe beef burger.